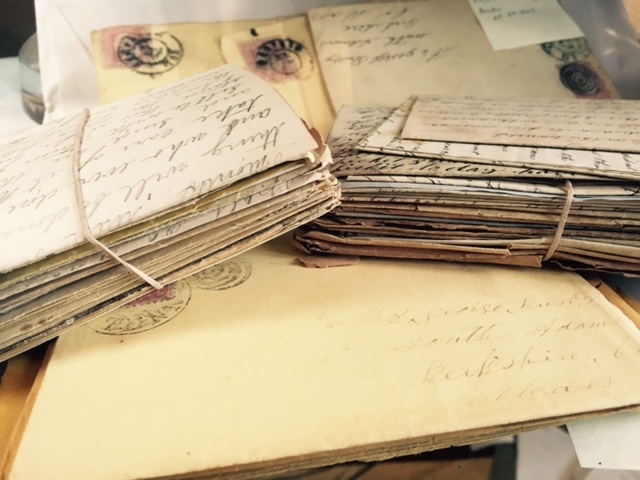 This large, original Archive of Pre- and Civil War Period Letters is written between William Busby and his family in Berkshire County, Massachusetts. It represents a prize for historians and for Civil War collectors alike. These letters are accompanied by their original, stamped and postmarked envelopes. There are some (22) Pre Civil War Letters, dating from the mid-1850s, mostly written from Marion, Iowa by William Busby and his sister Ann (Busby) Whitcomb, having the general content about farming, crops, and life in the country. There are (31) Civil War Period Letters, with discussions of various soldiers, battles, and military life. Especially significant are descriptions of battles, the Vicksburg surrender, and the taking of Fort Morgan. Ten (10) Letters were written while the 20th Iowa was in Texas and Arkansas, and two describe how soldiers voted in the 1864 Election.